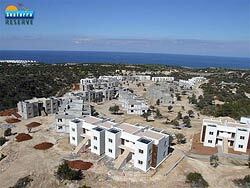 SeaTerra Reserve is one of the best properties listed in Cyprus44 property reviews. 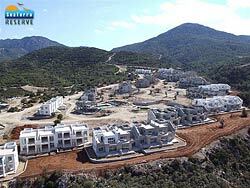 SeaTerra Developments have made their name with quality, gated developments across North Cyprus. Their experience in property development, however, extends much further, since the company has extensive experience in the competitive Spanish property market. Now they bring all that knowledge and experience to North Cyprus, and a series of SeaTerra property developments that include the SeaTerra Reserve. Unlike the rest of the SeaTerra portfolio, SeaTerra Reserve is not a coastal development, but a modern, mountain retreat. Lying high above the coast on a mountainside, bordered by a ravine and a government designated conservation area, the SeaTerra Reserve site offers an opportunity to get away from the hustle and bustle of the coast, for a more relaxing lifestyle. The properties at SeaTerra Reserve consist of 200 garden and penthouse apartments, in a roughly crescent shaped plot. Access to both parking and the two swimming pools is well thought out, with the central area reserved for parking and access via a top road, so that the central area remains quiet and safe. Not that you'll be looking at anything much but the uncluttered sea view, available from every apartment at SeaTerra Reserve. You can relax on your penthouse apartment terrace and soak up that view, shielded from the midday sun, or watch the sun go down from your roof terrace. Or relax in the shade of a pergola on your garden apartment terrace, before a stroll in your own area of lush green garden. Penthouse apartments are available as either one or two bedroom properties, while the garden apartments are two or three bedroom designs. All apartments enjoy the high finishing standards SeaTerra customers have come to expect, from ceramic tiling, fitted wardrobes, high quality fitted kitchen and air conditioning the master bedroom. The three styles of apartment blocks share the simple, uncluttered look of a whitewashed Mediterranean house, with added wooden features that soften the outlines and give a more homely feel. The facilities at SeaTerra Reserve Cyprus Properties make it ideal for holidays with the family, or as a buy-to-let investment. 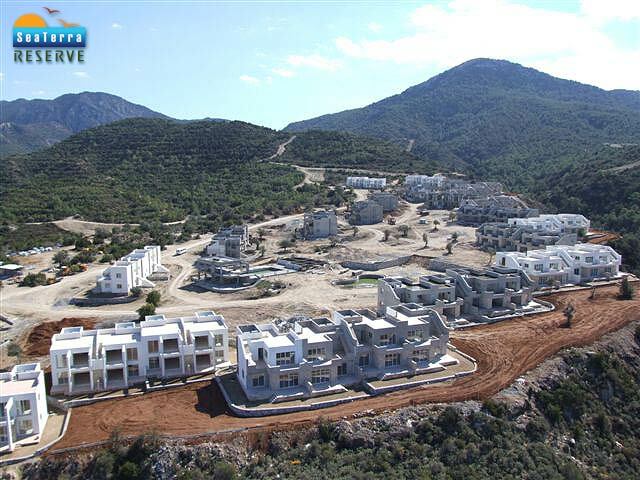 Apart from the family-friendly facilities, the SeaTerra Reserve complex will also have an onsite management and maintenance office, who will be glad to manage your holiday let investment in North Cyprus. So, what does SeaTerra Reserve off for the family looking for fun in the North Cyprus sun? The kids have their own swimming pool, a dedicated play area, and will no doubt spend happy hours in the games suite complete with pool table and amusements. Their parents can relax by either of the two outdoor swimming pools or go to the Spa to float in the large indoor pool, steam away stress in the sauna or bubble their way to relaxation in the jacuzzi. Energetic types can work off the calories in the gym, or the whole family can enjoy a round of mini golf. Serious golfers will love SeaTerra Reserve's Esentepe location, as it ensures budding Tiger Woods are only 10 minutes drive from a round on the new golf course. As night falls, you can either stock up on essential groceries at the onsite mini market, or enjoy a drink at the bar before dinner in the SeaTerra's own restaurant. This web page is served on 19 April 2019 at 23:32:50.